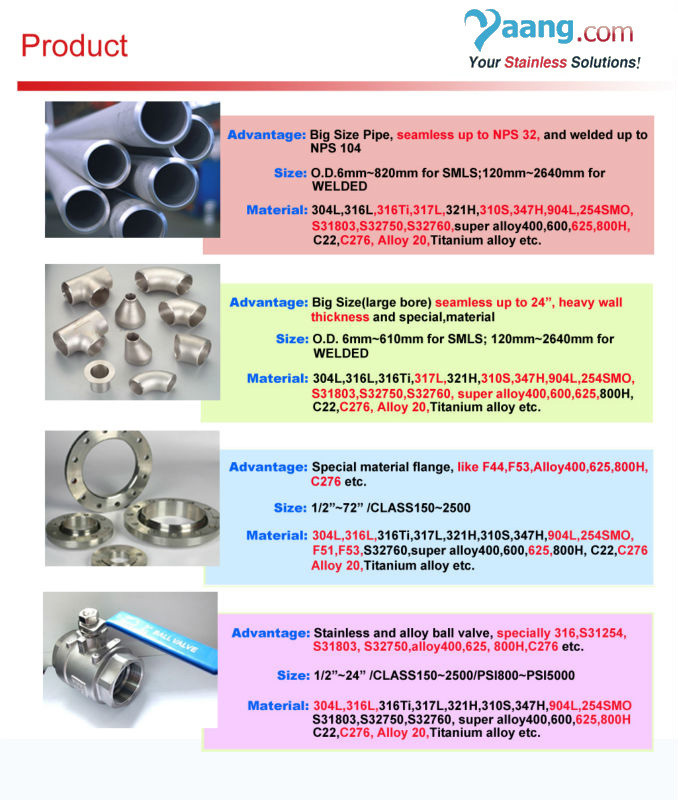 1.Mertiarial: 304/304L/304H, 316/316L, 317L, 904L, 321/321H, 347H, S31803/F51, S32750.etc. 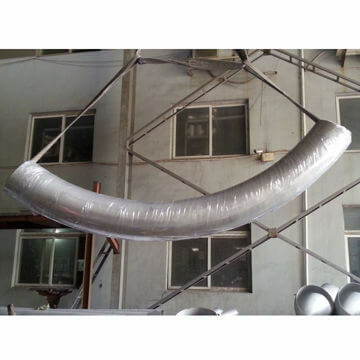 4) Standard: GB 12459-90/GB/T 13401/ASME/ANSI B16.9/ASME/ANSI B16.28/MSS/SP-75/JIS/DIN. 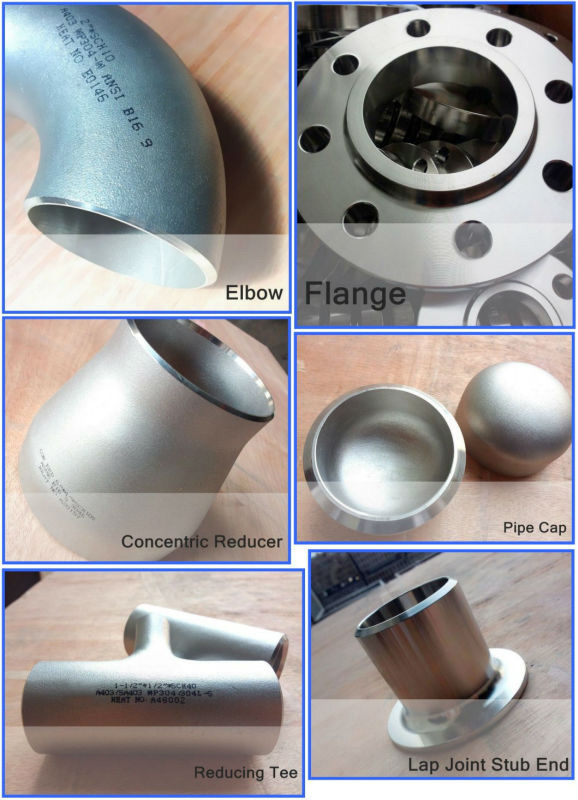 7) Application ranges: used in petroleum, chemical, power, gas, metallurgy, shipbuilding and construction.